Neuronal acetylcholine receptor subunit alpha-3, also known as nAChRα3, is a protein that in humans is encoded by the CHRNA3 gene. The protein encoded by this gene is a subunit of certain nicotinic acetylcholine receptors (nAchR). ^ Eng CM, Kozak CA, Beaudet AL, Zoghbi HY (Apr 1991). "Mapping of multiple subunits of the neuronal nicotinic acetylcholine receptor to chromosome 15 in man and chromosome 9 in mouse". Genomics. 9 (2): 278–82. doi:10.1016/0888-7543(91)90253-B. PMID 2004777. 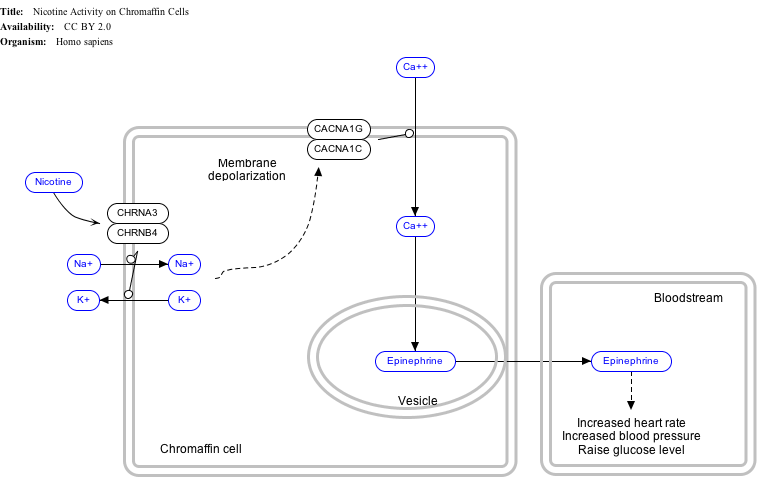 ^ "Entrez Gene: CHRNA3 cholinergic receptor, nicotinic, alpha 3". Papke RL, Heinemann SF (1992). "The role of the beta 4-subunit in determining the kinetic properties of rat neuronal nicotinic acetylcholine alpha 3-receptors". J. Physiol. 440: 95–112. doi:10.1113/jphysiol.1991.sp018698. PMC 1180142. PMID 1725184. Boorman JP, Groot-Kormelink PJ, Sivilotti LG (2001). "Stoichiometry of human recombinant neuronal nicotinic receptors containing the b3 subunit expressed in Xenopus oocytes". J. Physiol. 529 (3): 565–77. doi:10.1111/j.1469-7793.2000.00565.x. PMC 2270211. PMID 11118490. Human CHRNA3 genome location and CHRNA3 gene details page in the UCSC Genome Browser. This page was last edited on 25 March 2019, at 06:18 (UTC).